Welcome to the last day of this month's Stamp Highlights! Today we are taking a closer look at the beautiful alphabet set, Calli Letters. These letters are just perfect for a custom script sentiment! 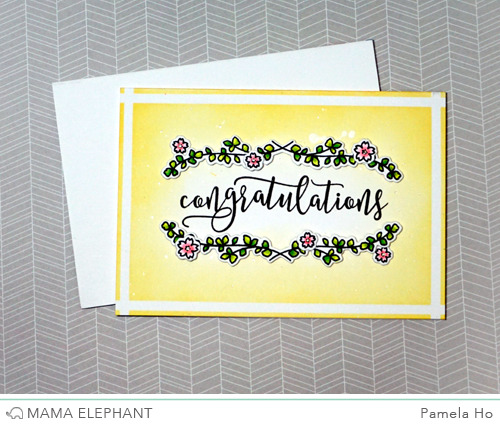 Pamela stamped her sentiment out using Calli Letters, decorated with a border from New Family and flowers from Lunar Extras. 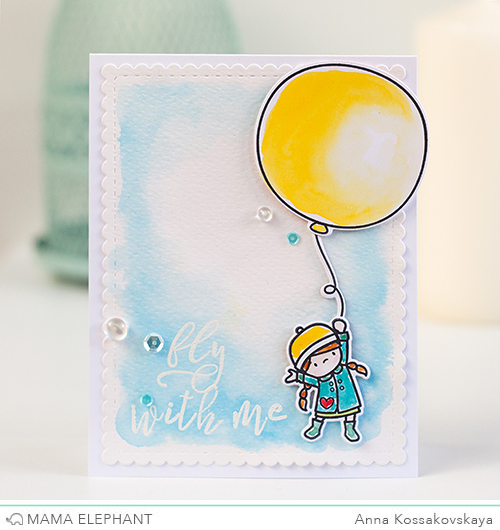 Anna made light and soft card with embossed letters on the blue sky. 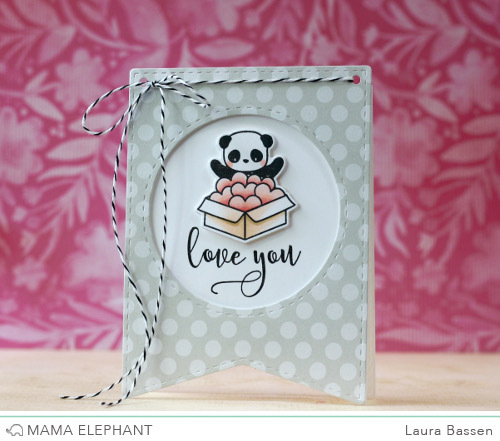 Laura used the Calli Letters to create her own custom sentiment on a shape card made with Pizazz Pieces. 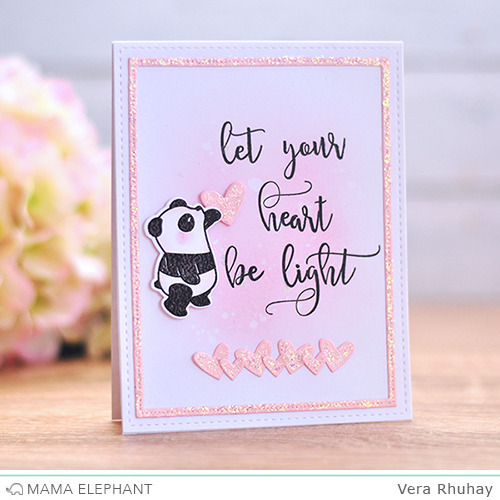 With Calli Letters it's easy to make custom quotes on card, just like Vera's card. This is great! Although I love Mama Elephant sentiments in English, I am French speaking and I'll definitely get that stamp set to customize my cards in French! I love Mama Elephant! WONDERFUL set - love it and think it will be so cool to have - thanks for all the great products in this release!! I am so in love!! I love the fancy script. My sister used to do calligraphy and it looked like this. I took 4 years of art in high school and I learned it but mine was nothing like my sisters. Hers was way better. However, people who see my signature say it looks really nice. In high school a guy said my handwriting was groovy! LOL I like to write more then print. That being said I love all the cards. The colors are really nice, especially my favorite color, yellow! Nice job ladies! Great alphabet set. It would help me to write some sentiments in Spanish since I am from Puerto Rico. I want it. This is my favorite set from the whole release! Wonderful letter and so many possibilities with them! Can't wait to get my stamps! Thank you for such great photos! They are so pretty. You know, to find good scripts on the internet is less difficult than, for example, to find a good reliable literature review writing service. For the second, it is needed a lot of patience and time for reading reviews, finding more information and so on. And these photos are excellent. 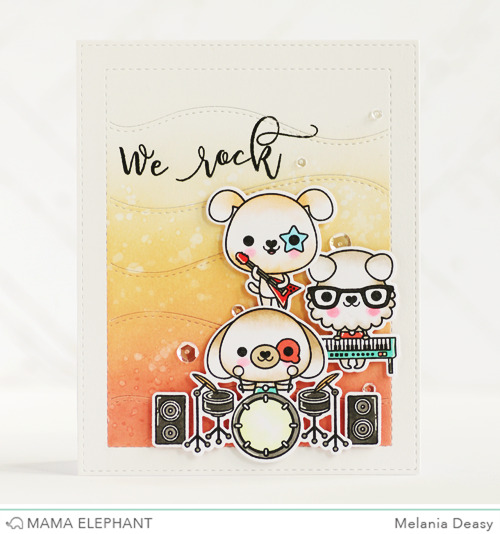 Especially the stamp with the headline "we rock" - it would be a great present for one who is interested in music and who is playing some musical instruments. Also, the panda on two last photos is a very cute one. Sure people are happy to get such stumps.